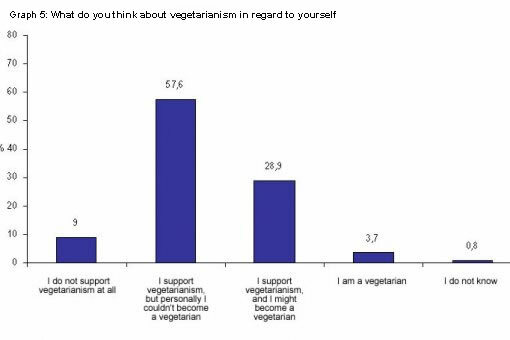 The question sought to establish the number of those who supported vegetarianism and the percentage of declared vegetarians. 86% of surveyed persons support vegetarianism, almost 29% might become vegetarians themselves, and 3,7% are declared vegetarians. According to these data, there are more than 160,000 vegetarians in Croatia.